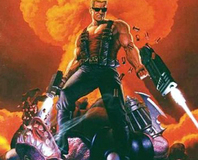 Duke Nukem Forever has been a legend among gamers for a while now, existing in one form or another since Duke Nukem 3D was released way back when. 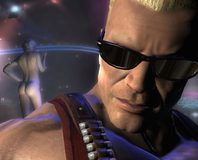 Duke Nukem Forever has now been in development at 3D Realms for over ten years. In that time we've had occasional glimpses of the older versions. Later today, we get a look at the newest version, which is built on a heavily modified version of the Unreal II engine that has been massively rewritten. 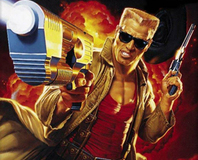 It ties in nicely with ongoing rumours that Duke Nukem will see a 2008 release. "Last Saturday we had our annual company Christmas party. It was a lot of fun as usual but it featured one special surprise. It turns out that several people had been secretly working late nights and into the wee hours of the morning preparing a special video for those at the party. They created a short teaser for Duke Nukem Forever. Tomorrow, Wednesday the 19th, around noon CST, we will release the first teaser trailer from Duke Nukem Forever. To tide you over until then, here is a screen shot taken from the teaser (see right). I'd like to thank the people on the team that worked so hard to create this teaser and the friends of 3DR that helped create it (Jeremy Soule and Julian Soule, Frank Bry, Jason Evigan and of course, Jon St. John)." So, just a short wait until the world ends, or it this just going to be another disappointment? Only time will tell for sure, but until then you can speculate in the forums. The teaser trailer is online now! See it on ShackNews.